The Trolley Run is one of the largest timed four mile road races in the country, and a USATF certified course. The fast, downhill course is a quintessential Kansas City experience and a beloved tradition. Trolley Run is the largest annual fund raiser for the Children’s Center for the Visually Impaired. All funds raised from the race go toward critical programming at the center. 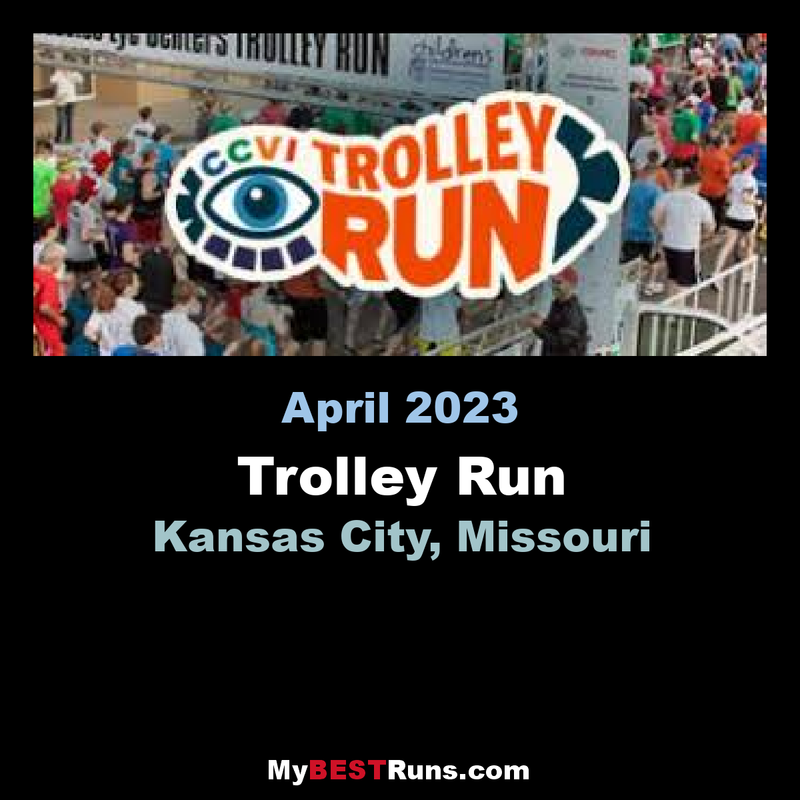 WHO: Trolley Run is operated by CCVI and a dedicated team of volunteers. The dollars raised from this race go directly back to CCVI to support programming. THE COURSE: The four-mile Trolley Run course winds through the Waldo and Brookside neighborhoods and ends on the Country Club Plaza. Transportation from the Plaza to the Start Line begins at 6:00 a.m. on Nichols Road between Pennsylvania and Broadway streets. The last runner bus leaves at 7:20; the last walker bus at 7:45. Arrive early! *No bags or backpacks will be permitted at the Trolley Run. Personal items will be transported from the start to the finish line. I have run this event at least 17 times and highly recommend it for all ages and speeds of runners. A quality event, fast course, and great party at the finish, all to support a much needed and worthwhile cause. The four-mile course winds through the Waldo and Brookside neighborhoods and ends on the Country Club Plaza. Transportation from the Plaza to the Start Line begins at 6:00 a.m. on Nichols Road between Pennsylvania and Broadway streets. The last runner bus leaves at 7:20; the last walker bus at 7:45. Arrive early! *No bags or backpacks will be permitted at the Trolley Run. Personal items will be transported from the start to the finish line.